DJs, Bands, Bars, Pubs, Clubs, KTV, Family Party, Birthday Party, Celebration Party, Wedding Party, Festival Party, Mall, Shop, Events etc. 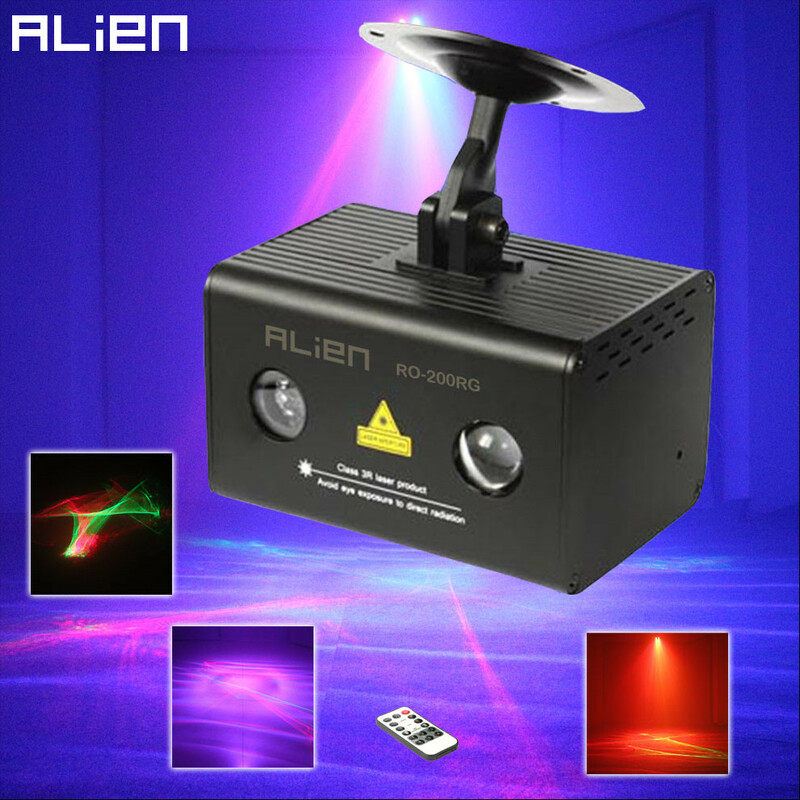 ABOUT ALIEN LASER ALIEN Stage Lighting is an art form onstage. It is the one element of the production that ties everything visually together. Without it we simply can not see, with it we can create environments, motion, pacing, concentration and enhance emotion. Here At Alien, We Stand By Our Products 100% With A 12-Month Warranty. A Happy Purchasing Experience Is Our #1 Priority And We Will Happily Send A Product Replacement If Any Issues Arise. ABOUT SAFETY CERTIFICATION Return & Exchange instruction 1.Atten: we can’t accept the exchange or canceling after your order has been shipped. 2.We offer item exchange for the DOA item without any charge, the returned item must be in it\'s original condition and we don\'t accept any artificially damaged item. 3.The shipping cost for return item should be paid by Buyer. Feedback We maintain high standards of excellence and strive for 100% customer satisfaction! Feedback is very important We request that you contact us immediately BEFORE you give us neutral or negative feedback, so that we can satisfactorily address your concerns.